Recently I answered the calling to go on a mission trip. I’ve been praying that God will use me and bless this trip. I am also praying that God will make the way for me to go if it is His will. I am big on prayer. I believe there is so much power in prayer. I also believe that when you decide to answer God and do what He wants of you, you will see Satan fight to make you quit. Satan will attack you, your family, your finances, your health and whatever else he thinks he can reek havoc on. Satan has been attacking me and my family. The bible says it plainly. “…your adversary (enemy) the devil, as a roaring lion, walketh about, seeking whom he may devour”. Satan wants to destroy you. He doesn’t want you to do God’s will or answer God’s calling. If you do, you will impact others’ lives. You will spread the gospel and cause others to have a seed planted. If that seed grows and leads to salvation, another soul will be going to Heaven instead of hell with him. The thief is Satan. The bible tells us he is here to steal, to kill and to destroy. He will try to steal your joy, kill your ministry and ultimately destroy you and your relationships. Recently I have witnessed first hand what Satan will try to do to try to take your focus off of Christ so you will be distracted and start to sink. He can use others to try to ruin you and your family. We recently had a situation where a family member tried to cause problems for my husband. This person wanted my husband to lose control of his anger. They wanted to see him fail. I’ve heard the saying whenever you try to do good, evil is always present. It says it in the bible as well. This is for me as much if not more than it is for anyone else. I love when God speaks to us and puts verses on our minds to help us through. We serve a mighty and a wonderful God. Next time you feel like world is caving in or you are in a situation that tries and tempts you, remember that Satan wants to destroy you. Think of the above verses and let them remind you that Jesus will get you through! Remember that when you do good that evil will be present. First let me start by saying I love when God talks to me. I pray a lot and I ask God to reveal things to me and to speak to me. I think if you want God to talk to you, you need to be open to it and you need to ask him to speak to you. When we ride the motorcycle, I pray and ask God to keep us safe. I talk to God a lot on the motorcycle. We don’t have a radio and I find myself just talking to God and praying over mine and my husband’s lives. Last night I asked God to speak to me, to give me something for this blog. He did. My husband and I took his motorcycle out last night.I was sitting with my head directly his and I couldn’t see what was ahead on the road. Normally I lean my head over a little to see but the wind was too much on the highway to do that. I thought well it is okay that I cannot see what is ahead I trust him. BOOM God spoke and said this is exactly how it is supposed to be with our relationship. A born again believers we are supposed to let God be the pilot and we are to be the co-pilots. When you are a passenger on a motorcycle you cannot “fight” the driver. You lean when he leans. You sit there holding on, not pulling or pushing or trying to be in control. If you do not follow those protocols you can make the driver wreck the motorcycle. That is also similar with our walk with God. We shouldn’t fight, we should be in sync with God and move when he moves. We don’t want our “motorcycle” to go down because we didn’t go with the driver but wanted to be in control and fought the driver. When you are a passenger on a motorcycle, you also cannot look behind you, you can make the bike go down. That is also true with our walk with God. You cannot dwell on the past. You are moving forward. There is no reverse on a motorcycle. The driver can back up, turn around and go forward but he cannot put the bike in reverse and go backwards. We don’t want to go backwards, we want to move forward. The enemy will try to distract you and make you dwell on your past to wreck you and keep you from moving forward. He will make you fear what is ahead because you cannot see that. Your driver (God) can see where you are going and he has planned the course. He knows what lies ahead, He can see the bumps, the potholes and the roads to take next. You’re job is to move when God moves and not to fight His will. We may feel the future is dim and isn’t promising. It may look like the storm isn’t going to be over anytime soon. Trust your driver to take you through that storm. He will not leave you or forsake you. He will hold you and love you. My husband will pay my hand every once in a while to see if I’m still there and if I’m doing okay. I will squeeze him to let him know I am okay and that everything is okay. It makes me feel safe and loved when he does that. God is like that too. We may not think He can see us or knows we are there then He gives us that assurance that He is there. God wants us to trust Him. He wants us to not do things our own way because we will fail. He will lead us and direct us. I challenge you and myself this week to ask God to help you let him be in the driver’s seat and that you can trust Him with all your heart. Pray that verse and speak it. Find a verse and cling to it. God will move mountains and He will not fail you. He loves us. Let me start off by saying that I fail God daily. Every. Single. Day. I. Fail. Him. I don’t really know if this blog helps anyone else, but it helps me and it keeps me in check. I write a new post whenever God lays something on my heart. Usually it is on what I am dealing with or going through. God’s been working on me a lot here lately. I am thankful for that! Faith works by love. At first I was confused by this. Utterly confused. I heard it explained like this. Imagine curtains. You have to have a rod to hang curtains. Try to hang curtains with the curtains on the hooks and not have a rod. The curtains will end up on the floor. Love is the rod that you hang your life on and faith are the hooks. When I heard this analogy, it was like a light bulb went ding ding ding! Bingo! Yatzee! Here it is Iva. Here is your answer. Deep down I have been doubting God’s love for me. I know. Stupid, right? There are 4 verses in the bible that specifically say the just shall live by faith. If it says it 4 times you know it is important! So we know the just shall live by faith but what does that mean exactly? What is faith by definition? Merriam-Webster says it is: (1) allegiance to duty or a person: loyalty; belief and trust in and loyalty to God (2)belief in the traditional doctrines of a religion: firm belief in something for which there is no proof: complete trust (3) something that is believed especially with strong conviction; without question. Faith is the substance (stuff or essence or base) of the things we hope for but have not actually seen. The bible tell us to walk by faith. (2 Corinthians 5:7) We are to live our lives by love and faith. We need love to have faith. Faith is the belief in God’s love for us. God loves me and I am confident that he will provide for me. He loves me and that is why I have faith in Him and His ability to take care of me. He loves me so much that he would send His only begotten son to die on a cross, bare the sin of the world so that we all could go to Heaven if we accept Christ in our hearts. Satan will attack your confidence. He will remind you of past mistakes, shortcomings and failures to get your state of mind to make you feel like you are under God’s judgement instead of the blood. It will make you think that God won’t help you because of something you did in the past. That is not true. If you are a born again Christian, you are under the blood! Yes we will fail and fall short. When you do you can go to God in prayer and ask for forgiveness and he will lift you up. When you pray, pray with the confidence that God will do what you have asked Him. I think faith and confidence go together. I sit in my chair because I am confident it will hold me. Because God loves me, he will provide for me. Phillipians 4:19 “But God shall supply all your need according to his riches in glory by Christ Jesus.” The bible says it right there. He will provide my need according to HIS riches in glory. All that I have is His. Anything that I get it His. I just get to borrow it. I love when God takes the veil off so that I can see the things I need to. I don’t know if anyone else ever feels or has felt the way that I had been but this helped me. God loves His children. He will take care of us. That doesn’t mean we won’t have trials or hard times. This means that God will provide for us when we need it. God I ask that you would lift the veil off those who need it lifted off so that their eyes can see what you need them to see through your word. Help those today who may be struggling and those whose faith is being tested. Give them the strength they need to endure and let them feel your loving arms. I ask all these things in your name. Amen. May all of you have a blessed Easter. He is risen!! Today is Friday… but Sunday is coming!! P.S. I apologize if this post seemed scatter brained. It took me 3 days to finish this. I thought for sure by now that God would have answered my prayers. I don’t even know where to begin with where life has taken me these past few months. I’ve been desperately wanting something. Praying for something and it hasn’t happened. I was reading my daily devotion today and it was like my eyes were opened it and I felt a peace. I’m reading Elisha: A Tale of Ridiculous Faith in my Bible Ap. I love it! I get something out of every day’s devotion. Today’s was on a miracle of Elisha. 2 miracles happened in this section of scripture I was reading (2 Kings 4:3-37). 1. Elisha told the Shunammite woman she would have a baby 2. Elisha brought the child back to life when he had died. I’ve read this story many times. I failed to notice that it took Elisha 2x to bring the child back to life. I’ve never noticed that before. The devotional content talked about the fact that it didn’t happen the first time Elisha tried to bring the child back to life. It asked, how many times have we been in Elisha’s position? We’ve prayed and asked God for something knowing that he would do it, but it hasn’t happened yet. It may not happen for months or years. Don’t give up or lose heart! Just because you aren’t successful the first time doesn’t mean that God will not answer your prayer! God knows best and he knows what the best timing would be for what you have asked for. I have wanted a baby for a long time. When people would ask me when my husband and I were going to have kids, I’d just give the answer that my dog was my baby and he was the only baby I needed. In my heart I was angry that someone would ask. I felt like they were saying I wasn’t whole without a baby but truth was that, that was how I felt. I felt like I wasn’t whole. It has taken me some time to realize that even if I never have a baby, God makes me whole. It is God who completes me. A few weeks ago I went to the alter because God was dealing with me about me being angry. I was angry for several reasons. 1. I wanted a baby. 2. I was pregnant but not long after I knew I was I lost it. I didn’t understand why God would take something from me that I wanted so badly. All of my cousins had babies. Most of my friends had them as well and I couldn’t understand why they could but I couldn’t. I told my Daddy at the alter why I wanted to pray. He said baby, remember Hannah. He anointed me and asked God to give me the desires of my heart. It still has happened yet, but I am not giving up! I haven’t shared this with anyone but my close friends and my immediate family. I hate sharing my feelings because I hate when people feel sorry for you. I hate that! Don’t judge me, it is just the way that I am. I felt compelled to share this because I have read 3 different things about waiting for something that you have asked God for. I think a lot people are in similar situations. They may not be in the exact same situation but are in a waiting period in their lives. If you are in a waiting period, do not give up. Don’t be angry at God. Realize that He knows what is best for us and in Hid timing our prayers will be answered. For now cling onto that hope from Psalms 37:4. Delight thyself also in the Lord; and he shall give thee the desires of thine heart. This is the verse I am praying and clinging to. I have what you need, but you keep on searchin’. I’ve done all the work, but you keep on workin’. When you’re runnin’ on empty and you can’t find the remedy, Just come to the well. You can spend your whole life chasin’ what’s missing but that empty inside, just ain’t gonna listen. 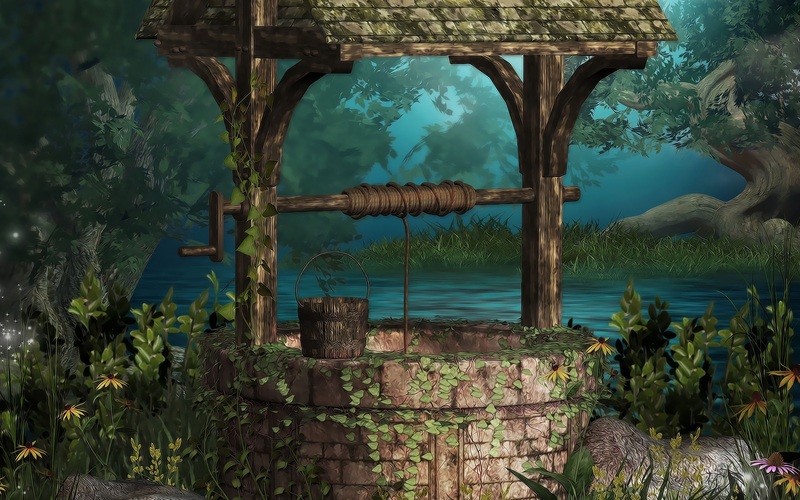 When nothing can satisfy and the world leaves you high and dry, come to the well. The above lyrics from Casting Crowns, The Well stuck out to me. I’m done searching for something that I cannot get myself. I’m done stressing over things I cannot control. I’m done chasing things that do not bring me happiness. I am done holding onto things that I need to give to God fully! I have had a mindset lately that has brought me down. I have let so many things bog me down and keep me in chains. I’ve let Satan have a hay day in my mind. I forgot who the true enemy was. I have been dwelling on financial mistakes that I’ve made and worrying over how to fix them. I cannot fix it. I know God can but I don’t want to let my burdens go. I keep looking at what every body else has and dwelling on what I don’t. The above verse says several things. Take Heed- take caution, pay attention! 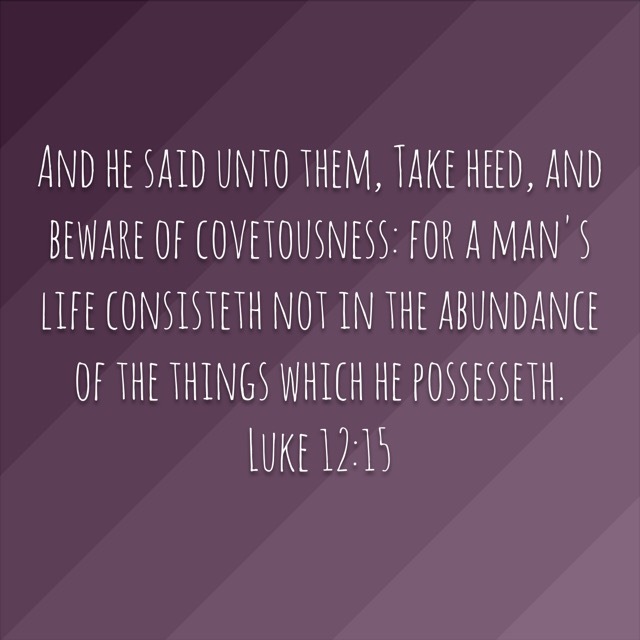 Beware of covetousness- watch out for your desire to have what others have. Your life is not in the things that you own or don’t own. L.U.S.T. – Living under Satan’s Thumb. We all lust after something. We all have a desire/lust for more than what we have. Sometimes it becomes so strong that it takes over our thoughts and our lives. It will drive a wedge between you and God really quick. God is the source of all joy and happiness. He has store houses full of things that we need. God know what we need. He will feel the emptiness. He will take the burdens. All we have to do is go to him. He will fill our empty vessels. Sometimes to be filled we must first be empty. We must get rid of the pursuit of perfection, fears, temporary pleasures, earthly treasures, dried up & empty religion, chains of addiction and guilt that brings you down (These are all mentioned at the end of the Casting Crowns song The Well). We must lay those things that have filled us up and left us filling empty. Give it to God. I have the hardest time doing that. I like to be in control. I hate to lose control of anything. I am still working on letting go and letting God. It is hard for me. I am going to be working on letting go of my worry, my doubt, my fear and letting God take care of me. He can do it better than I can. I know this was short and simple but this has been on my heart. I encourage you to listen to the songs below and to pray and ask God to help you let go of the things you need to and to fill your emptiness with his love. We have broken cars, washers, refrigerators, lawn mowers, plumbing, bones, lives, families, hearts, dreams and homes. What is the actual definition of broken? Is it something so far gone that it cannot be fixed? It is something meant to be left broken or is it meant to be fixed? So broken is something damaged. It can be something that isn’t whole (one piece), It can be shattered, crushed, smashed or splintered. It can be something that no longer works. It can even be someone who has given up. Recently my husband and I both have broken bones. I broke my toe and he broke his finger. I was angry when I broke my toe. I was so angry. It was an accident. Accidents happen but I didn’t want something like that to happen to me. I have too many things to do and I couldn’t walk as fast and could barely walk at all. I thought how could something so small cause me so many problems? My husband went roughly through the same thing. He couldn’t put his boots on or take them off. He found himself frustrated that he wasn’t physically able to do something. Both of us have had a lot of physical pain associated with these breaks. I found myself really behind on my housework, laundry, dishes and everything else. My house was a mess and still kind of is. All of that got me thinking about how our bodies work. My toe is a small member of my body but when it is broken, my entire body and life suffers. The same goes with the body of Christ. When a member is broken, no matter how small, it is noticeable and until there is healing the whole body will suffer. 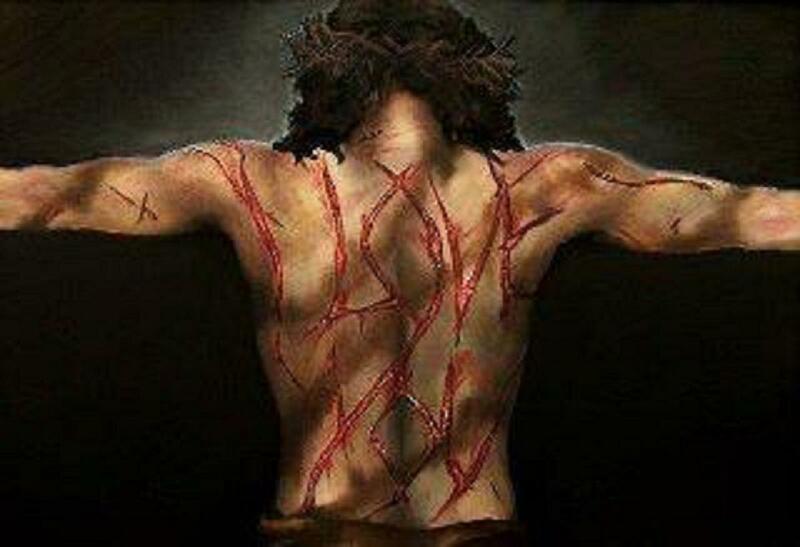 The only way to get whole again is to get down on your knees and ask God to heal you and forgive you and to help you. He got down on his knees as he said this. He said God will pick up your pieces and he will put you back together again. 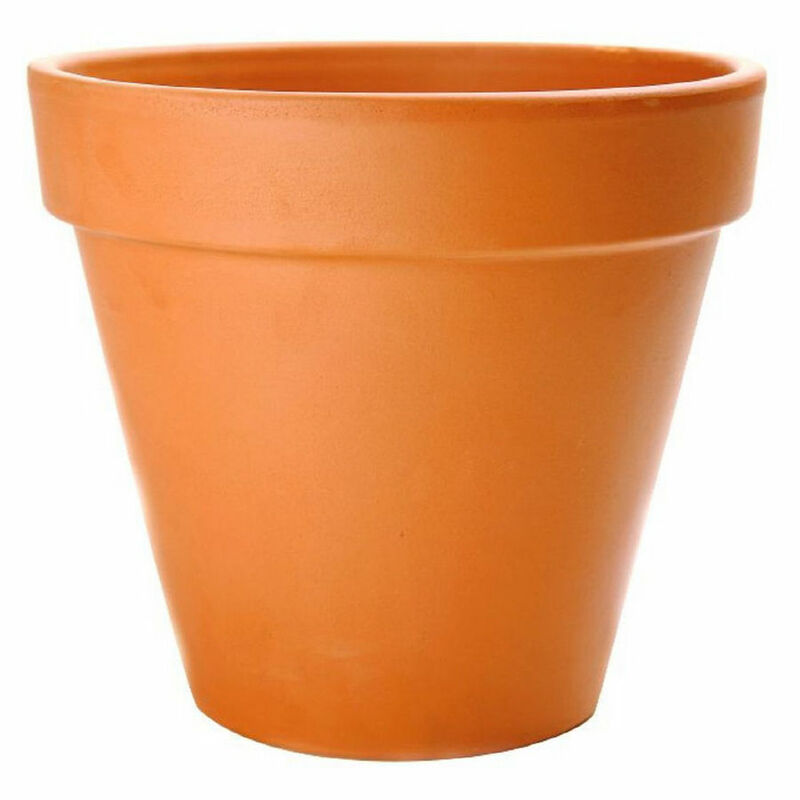 He held up a new pot for us all to see what God can do with our lives and vessels. At the time I was struggling with many things and I felt so convicted over his message. I had been broken for a long time and had not gone to God for my healing. The preacher went on to say that we could have broken marriages, lives, vessels, witnesses, homes whatever and that God would heal it. I felt so overwhelmed with the Holy Spirit telling me to go to the alter and ask for forgiveness and healing. I am glad that I did because I walked away feeling whole again. I walked away with hope and with a renewed heart and soul. 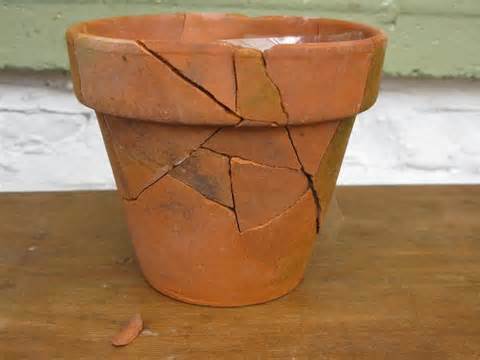 Sometimes we have to be broken to be made whole. God can make you whole. He can restore you and revive you. He will pick up your pieces and put you back together. It may be painful. The healing may be a process like the healing of a broken bone, but don’t give up!!! Keep praying, keep reading, keep trusting and keep the faith! Whatever is broken in your life whether it be; your marriage, your heart, your life, your mind, your spirit, your witness, your finances, your body – come to Jesus and ask for a healing. If you’ve let sin slip into your life, come to Jesus. He will give you healing and forgiveness. I always feel awkward writing a prayer but I need to do what is on my heart. I ask that you speak to the hearts of those who read this. I ask that you would provide healing in whatever aspect of life that it is needed. I ask you to give them a renewal of their hearts, souls and minds. I thank you for what you’ve done and what you will do. I ask that you flood each person’s life who reads this with your love. God we know you are exceeding and able to do all things and we know that you will. I ask that if someone is reading this and they used to be on fire for you that you would stir up their hearts and start a fire in them again. I ask you to give peace and comfort and joy to those who are without it. Lord we ask that if there is someone reading this who doesn’t know you, that they will come to know you. Use us Lord and let us be your vessels. I ask all these things in your name, Amen. My hope for you is that you will come to the well that never goes dry and that you will get what you need.